WATER RESISTANT: Woosir bike trunk bag made of carbon composite leather which is strong water resistant and durable. FOLDABLE CAPACITY: Large capacity bicycle bags rear rack can be unfolded with zippers to a bike pannier when you need more capacity. MULTIFUNCTION: Delicate bike bags comes with 2 shoulder straps can use as messenger bag. Portable design convenience your travel life. THICKEN PAD REDUCING SHOCK: Padded inside reducing shock while cycling. Detachable partition for usage flexibility. 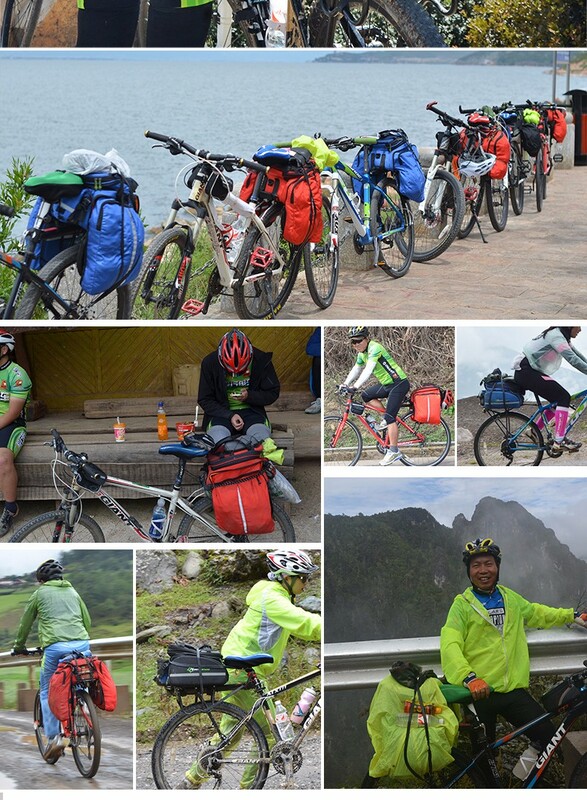 INTERATED BODY FRAME: Hard to deflective during using.Protect clothes, shoes, phone, clothes, shoes, phone, cameras, kettle and other belongs into the bike trunk bag confidently.